TORONTO -- A Canadian infectious diseases expert who is helping to investigate a large coronavirus outbreak in Saudi Arabia says she understands people's frustration about the lack of information on the situation. But Dr. Allison McGeer says the outbreak is complex and pulling together the data to accurately reflect what has been going on in the Al-Ahsa region of the country just takes time. She also revealed that a report on the outbreak is being written. "The only thing worse than not sharing data is sharing data that turns out to be not correct. And this is a very complicated investigation," said McGeer, who returned to Canada from the Middle East on Saturday. "It's not simple. The answers are and were not completely clear." The outbreak, the largest to date with the new virus, has produced at least 22 cases, nine of which have been fatal. 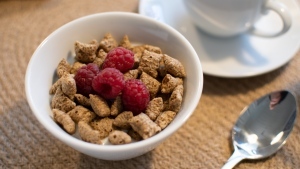 It has involved spread among patients in a hospital and from them to family members and even two health-care workers. It is not yet apparent whether the outbreak is over. The most recently reported case in this cluster was revealed on Saturday, an 81-year-old woman who was reported to be in critical but stable condition. Globally there have been 43 confirmed MERS infections and 21 of the cases have been fatal. (The acronym stands for Middle Eastern respiratory syndrome.) Cases have been reported from Saudi Arabia, Jordan, Qatar, United Arab Emirates, Britain, Germany, France and Tunisia. But the European and Tunisian cases all had their origins in the countries of the Arabian Peninsula. McGeer is the head of infection control at Toronto's Mount Sinai Hospital. She was a key player in the city's response during the 2003 SARS outbreak, and actually contracted the disease herself. Her experience with that pathogen -- which is from the same family as the MERS coronavirus -- is one of the reasons she was asked to travel to Saudi Arabia to help with the investigation. The other is that the Saudi deputy health minister, Dr. Ziad Memish, trained in Toronto and knows many of the infectious diseases experts here. Memish got his medical degree at the University of Ottawa but did his internal medicine and infectious diseases training in Toronto. McGeer was one of three infection control specialists who travelled to Saudi Arabia to help with the outbreak, and was the one who stayed the longest. Dr. Trish Perl, an expert from Johns Hopkins in Baltimore, Md., and Dr. Connie Price from the University of Colorado in Denver also spent a few days in Saudi Arabia at Memish's invitation. 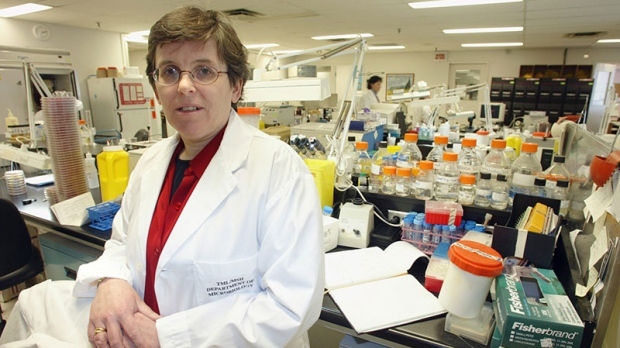 Both Perl and Price were among a number of U.S. infection control specialists who came to Toronto during the SARS outbreak to help contain the spread of the disease. A fourth infection control expert, Dr. Paul Tambyah of National University of Singapore, had also been invited but was not in Saudi Arabia while McGeer was there. She said he was, however, one of a number of experts who were consulted by phone. 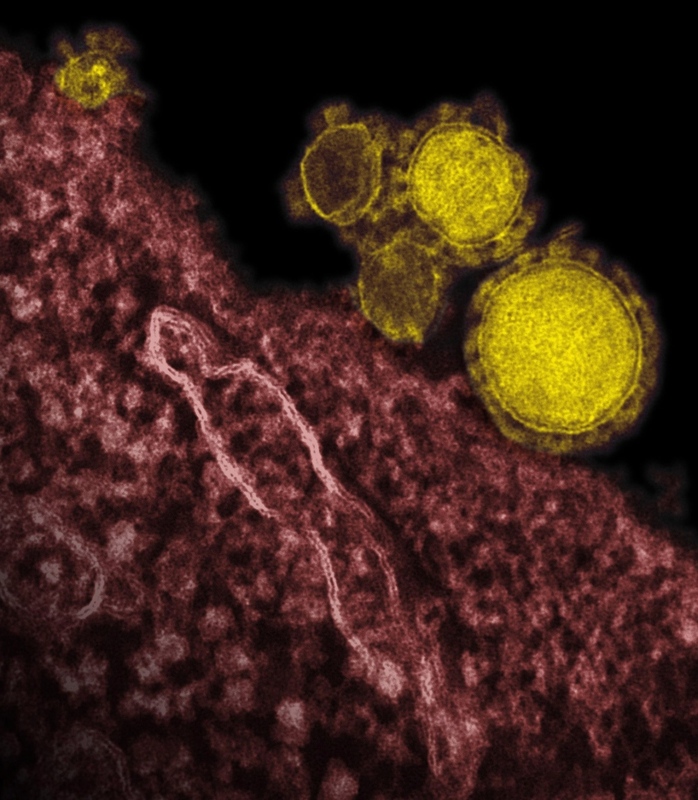 There has been much -- if muted -- frustration voiced about how little information has emerged from Saudi Arabia and other MERS-source countries since the new virus was first spotted last fall. And the mostly behind-the-scenes grumbling has intensified since Saudi Arabia revealed in early May that it had discovered what has turned out to be a large outbreak in the eastern Saudi city of Al Hofuf, near the Persian Gulf. Al Hofuf is in the Al-Ahsa region. In fact, when WHO Director General Dr. Margaret Chan opened the World Health Assembly on Monday she lauded China for the openness of its efforts to combat H7N9 bird flu, but offered no corresponding praise for Saudi Arabia and the MERS-affected countries when she talked about the threat posed by the new coronavirus. The assembly is the annual general meeting of WHO member states. McGeer would not speak about some aspects of what she learned in Saudi Arabia, but she did say that a detailed report on the outbreak is pending. "Although I can sense frustration, the situation is exactly as described by the Saudis in their postings" to the WHO and to ProMED, McGeer said. ProMED is an Internet-based infectious diseases surveillance system through which Memish has revealed some information about the Al-Ahsa outbreak. McGeer did say, however, that given what she saw in Saudi Arabia, she is confident governments elsewhere have the advice they need to detect the new coronavirus and protect against its spread in their hospitals. "I think that the current World Health Organization recommendations for surveillance and for management (of cases) are good and should be followed." She said she is also confident that the people handling the hospital-based outbreak in Al Hofuf are doing a good job. She would not name the facility, but media reports from Saudi Arabia have revealed it is al Moosa Hospital. That said, McGeer would not offer an opinion on how soon the outbreak will be contained. "If you'd asked me on the 15th of May (2003) during SARS, I'd have been dead wrong. I think the last thing you want to be about an outbreak when it's not over is optimistic," she said. "It does not mean I'm pessimistic. It just means it doesn't do to make assumptions until outbreaks are really over." The reference to May 15, 2003, relates to an embarrassing incident in Toronto's SARS outbreak. It had appeared that transmission of the virus had stopped in early May. So in mid-May the Ontario government lifted the state of emergency and hospital personnel were informed they no longer needed to wear the mask-like respirators that were protecting them from the SARS virus. Within days of the all-clear going out, health-care workers started showing up in Toronto emergency rooms. They'd contracted the disease from SARS patients who hadn't been spotted, and transmission was off and running again. It took until early July before the second wave of the outbreak was contained. McGeer also wouldn't venture to guess what the future holds for this coronavirus -- whether it will continue to make occasional forays into people or will start to transmit efficiently among them and spread broadly around the world. "I don't have any idea what it's planning on doing and I don't think it is predictable at the moment," she said. "It is, I think, likely that there will be continued sporadic cases. ... But whether this is a stable sporadic virus that will continue to do what it's been doing and not change very much or whether it's a virus that's in the process of changing and is going to cause more trouble is, I think, a completely open question." She suggested study of the genetic sequences of viruses from a number of cases and a number of locations would help the world assess the risk the MERS virus poses. "That's the only thing I can think of in the short term that is going to help with deciding how much trouble this virus will cause." But to date only five viral sequences have been shared with the international scientific community. No sequences from the Al-Hasa outbreak have been released.